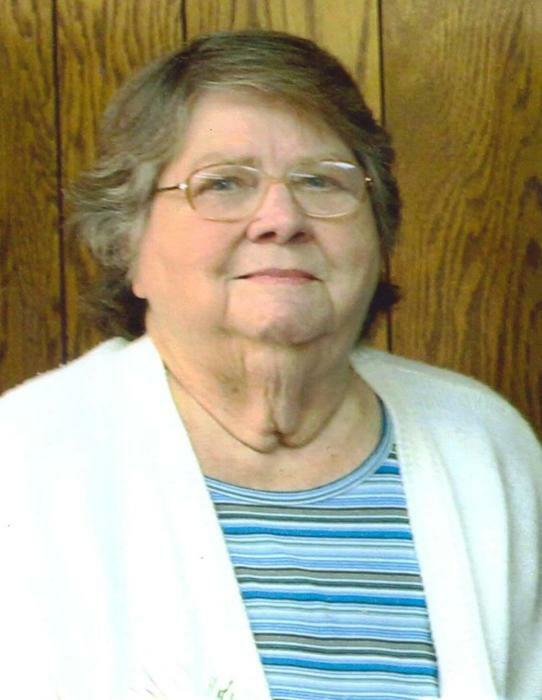 Frances “Pauline” Williams, nee Payne, of House Springs, Missouri passed away Friday, February 1, 2019 in St. Louis at the age of 75 years, 7 months and 13 days. Pauline was born June 19, 1943 in Steelville, Missouri to parents, Roba and Gladys Smith Payne. She was united in marriage to Clarence Williams in 1963 and to this union three sons and one daughter was born. Along with being a wife and homemaker, Pauline was employed as a realtor for several years working in the St. Louis and surrounding areas. She enjoyed making flower arrangements, working on Sudoku puzzles, reading, cooking for her family and taking long leisurely drives with her family. Her greatest joy came from spending as much time with her family as she could. She was preceded in death by her parents; her husband, Clarence Williams; brothers-in-law; Ben Littrell, Joseph Price, Roger Hyatt, Harold Stufflebean, Jr., David Jarvis, Sr., Gene Jay and Charles Williams. She will be sadly missed by her three sons, Walter (Pamela) Williams of Rolla, MO, Dennis (Angel) Williams of High Ridge, MO and Michael Williams of House Springs, MO; one daughter, Janice Williams of House Springs, MO; four grandchildren, Jennifer (Jacob) Davis of Germany, Cordell (fiancée Cheyenne) and Ryan Williams all of Rolla, MO and Mason; four brothers, Arnold (Yuni) Payne of Leslie, MO, Jim (Carmen) Payne and Roger (Norma) Payne all of St. James, MO and Kenneth Payne of Sullivan, MO; six sisters, Geraldine Littrell, Carol Hyatt, and Deloris (companion, Thomas Sidwell) Jay all of Rolla, MO, Clare Price of Sullivan, MO, Joyce Stufflebean of Cuba, MO and Donna Jarvis of Salem, MO; sisters-in-law, Arlean (Cornell) Woods of Salem, MO, Patricia Millville, CA, Kay LeClaire of Pacific, MO and Wanda (Ray) Post of Catawissa, MO; brother-in-law, Stanley (Debbie) Williams of Villa Ridge, MO; Uncle Harold Smith of Blue Mound, IL; nieces, nephews; other relatives; and friends. Funeral services were held at 1:00 p.m. on Wednesday, February 6, 2019 at the Britton-Bennett Funeral Home in Steelville, MO with Rev. Leroy Ness officiating. The obituary reading was done by Cordell Williams, opening prayer by Stanley Williams and eulogy by Angel Williams. Special music of "Lily of the Valley" and "I'll Fly Away" was sung and played by Doyle Hobson. Other music of "Waltz With the Angels" was played. Honored to be casket bearers were Cordell Williams, Ryan Williams, James Payne, Roger Payne, Kenneth Payne and Jack Halbert.